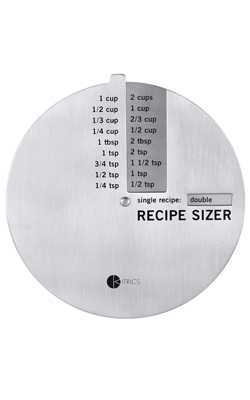 When your number of servings isn’t the same as in the book, this handy divider makes it easy. So you can concentrate on creating, instead of calculating. Adjusts to your number of servings. Quick and easy-to-read. Takes a little math out of your life.